Microsoft has finally bid goodbye to Nokia branding for its Windows Phones. The first handset to drop the Nokia label is the new Microsoft Lumia 535, an entry-level device with everything one might expect from a modern day smartphone. In April, Microsoft acquired Nokia's phone business for $7.2 billion in a deal that permitted the division to continue to manufacture phones with the Lumia name adorned on them. The deal also allowed Microsoft to keep using the name Nokia on new phones for a brief time, but that brand is being relinquished in favor of the name Microsoft Lumia. The new handset features a 5 inch qHD 960 x 540 (220 ppi) display. It is powered by a 1.2 GHz quad-core processor, 1GB of RAM, with 8GB of storage space and supports up to 128 microSD card. It features dual sim support and the Lumia 535 will run Windows Phone 8.1, the latest version of Microsoft's mobile operating system. The device also sports a 5MP rear camera, and a 5MP front facing camera along with WiFi, Bluetooth 4.0, and the usual sensors. It runs on a 1,900 mAh battery, claiming a battery life of 11 hours of calls or 23 days on standby on a 2G network. It is estimated to cost 110 Euros ($136.67 USD) although the price will vary between countries. Similar to its predecessor, the Lumia 535 has a plastic back and clean lines with rounded corners but in a larger and sleeker package. It will be available in grey, green, cyan, orange, black and white color variants. These back plates can be interchanged and Microsoft will be providing flip covers in matching shades for those that like to give their handset a little extra protection. While the new handset doesn't represent much of a rebirth for the handset lineup, the new branding may mean a new chapter for the mobile devices, which have struggled in the marketplace. 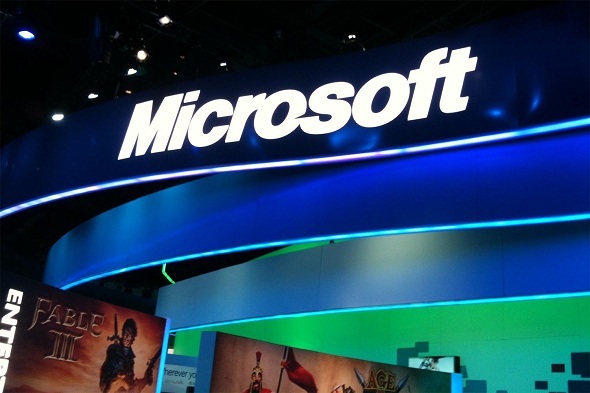 Additionally Microsoft's Windows Phone platform could use a jumpstart as well. According to market researcher IDC, the OS has yet to gain popularity with consumers, powering just 2.5 percent of the world's mobile devices, while Google's Android OS runs on almost 85 percent of mobile devices worldwide. Microsoft says the Lumia 535 will go on sale in the coming weeks, first in parts of Asia-Pacific territories, with Russia, India and China at the top of the list followed by Africa and the Middle East. 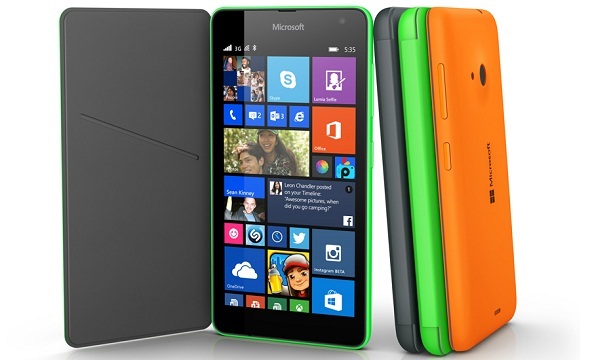 Latin America should see the Lumia 535 starting in January.